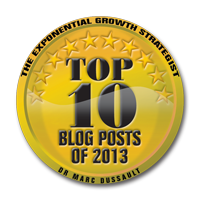 Published on December 9, 2013 in Career Management Tips, General Interest and Leadership. 0 Comments Tags: First Time Manager, Leadership Styles, Management Styles. Let’s face it – managing people is not easy. If it was, everyone would be a great manager and we all know that is not the case! Being a “good” business manager takes a number of different skills and abilities to succeed. You need to be dynamic, organised and ready to take control. On top of these factors, there are also several different management styles you can adopt. The style you choose will be a reflection of your personality, workplace and situation and will determine its effectiveness. 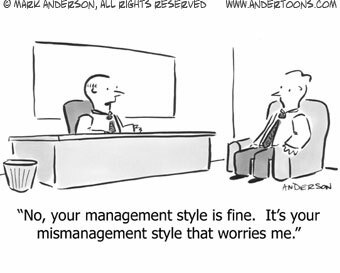 That’s why it’s important to be aware of the different management styles, so you can CHOOSE the right technique for the appropriate situation and context. Otherwise you’ll make the same blunders inept managers make – doing the wrong thing for the wrong reasons, at the wrong time, the wrong way! The directive management style is the hard, ‘do what I tell you’ way of doing things. Generally, this isn’t a practical way to go about your business, as you want your employees to respond via their trust and appreciation of you. If an employee is underdeveloped, they may feel intimidated by this type of management. Similarly, if they are highly developed, they may become frustrated with you. This style is only successful when there is a crisis or serious situation, when you need to show direction and determination amongst the chaos. The participation style of management is highly effective in several different situations. By adopting this style, you give each and every employee an opportunity to speak up and have input. This builds a ‘team effort’ feeling within the workplace, which is likely to increase compliance. However, this style may not be as effective when an employee is underdeveloped and still needs close supervision. That’s why one-size does not fit all when it comes to managing people and situations. The authoritative management style is somewhat similar to the directive style. The key difference, however, is this style is more of a ‘firm but fair’ way of managing employees. You provide your workers with a vision of where they should be and where they should be going. With clear goals set, they are able to work individually towards achieving them. This is a successful management technique, although some of the more underdeveloped workers may still need more supervision and direction. An authoritative style requires that you command authority, either formally or informally. Without it, you are just being directive and as previously stated, that is largely ineffective and yet remains a popular management style…! The coaching style of management is similar to participation, however, it focuses more on building your employees’ skills to a higher level of proficiency. By coaching your workers, you are not only encouraging them to participate and get the work done, but you are assisting them in building their own skills as well. This is highly effective with motivated workers who hope to gain more skills. This management style has a primary objective of building relationships between workers and minimising conflict. By doing this there is a wonderful level of harmony within the workplace which may encourage your employees to meet set goals voluntarily rather than by force. It is a ‘people first’ style of managing. It may not be effective if goals are not being met or if there is a crisis situation that needs to be addressed. It necessarily requires a much higher skill set than the directive and authoritative styles, understanding personality profiles and team dynamics. It is not recommended for your or first-time managers. There are a number of different ways to manage a business. Obviously, one style won’t always fit your workplace. You need to change your style depending on the tasks and situations that need to be addressed. To know more about successful business management, visit Coral Homes franchise business or Coral Homes on True Local. This has been a guest post. If you would like so submit one to us, please contact us at your convenience. Published on December 2, 2013 in General Interest. 1 Comment Tags: Business Women, Female Entrepreneurs, Women in Business. If you looked at a list of successful entrepreneurs fifty years ago, it was an oddity to see a woman’s name. Now we live in an exciting period where there has never been a greater time for women to launch a business. Women have the amazing ability to multitask, communicate with purpose and they are deep thinkers and visionaries. Women’s success in business is impressive as the statistics reflect. There are a few consistent qualities successful female business leaders possess that the less (or non) successful lack. Here is a short list of key characteristics you want to develop to succeed in business. You can have a lot of technical skills and abilities, but if you haven’t got the creative juices flowing, there’s only so far you can take your business. No one is saying that you have to be Picasso or Da Vinci, it’s about thinking outside the box (what I call antimimeticisomorphism) and pushing yourself to uncover new methods that create a competitive edge that is sustainable. When you are creative, it makes you noticeably confident, allowing you to trust your unique set of abilities and skills. Learn to hone, focus and prioritise your amazing ideas because without this skill you risk becoming a scatter brain that diffuses the power of creativity! One of the most important traits possessed by successful female entrepreneurs is persistence. You are going to face obstacles, problems and negative people along your journey, without persistence you won’t have the strength to stay the course. Easier said than done, I know. Unfortunately this one of those skills that just takes time to develop – believe in yourself and over time you will increase your persistence and tenacity. There is no other way – take the leap and trust yourself! Fearlessness is a quality often confused with risky behaviour. As far as business is concerned, possessing fearlessness means you will not let fears or worries stand in the way of achieving your dreams. You know what the risks are, but you persevere anyway because you KNOW you can overcome the risks and challenges. If the risks and challenges ARE insurmountable, then you don’t have a good business and you MUST re-evaluate. But once you know you can do it… DO IT! Succeeding in your professional life, home life and trying to squeeze in some ‘me time’ is hard. If it was easy, everyone would be “balanced”. Women are known to be better at this than men, but that doesn’t mean they all have “balance”. It is a constant struggle between competing interests, something you constantly need to keep an eye on. Without balance, you risk burnout which is a recipe for disaster – NOT success! Whether your are booking your next transnational business trip on corporatetraveller.com.au or planning your next exotic vacation, remember that these 5 characteristics of successful business women are a starting point on your path to your ultimate destiny – enjoy the journey because that is was success is all about. Having fun succeeding rather than succeeding with the expectation of one day “being happy”.